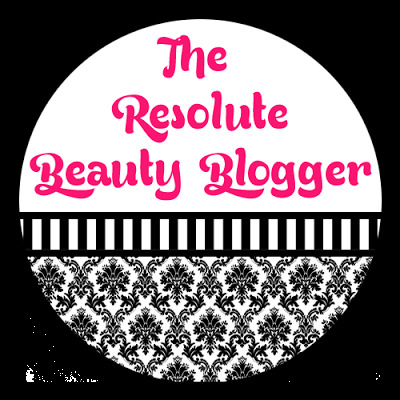 Welcome to the October updates of the beauty blogger resolution series called the Resolute Beauty Blogger. October Update: I gained 81 Twitter followers and 68 Bloglovin followers. My numbers are unusually high this month because I had a giveaway going on for the first part of the month. October Update: I kept track of my monthly blog stats using the table that I discussed in my January post. October Update: I did not do any tags in October. October Update: I'm pretty sure I do at least 3 hours of blogging stuff a night but I've been good about going to bed at a reasonable hour. October Update: I've been continuing my "Frugal Fridays" series. I have a lot planned for some end of year "Favorites" posts in December. October Update: I did not do this in October. October Update: I'm more comfortable posting full face photos. October Update: No progress on this. In October one of the coolest things that blogging has allowed me to do was attend a Boston Fashion Week event as press. I was able to meet some of the designers and interview them as well as get a sneak peak at the designs they were going to feature in the show. You can check out those posts HERE, and HERE. Side-note: I noticed that my traffic was super high during the days of the Sephora VIB sale. Did anyone else notice this? ?